Genea-Musings: Treasure Chest Thursday - Post 313: 1734 Birth Record of Ephraim Sawtell in Groton, Mass. 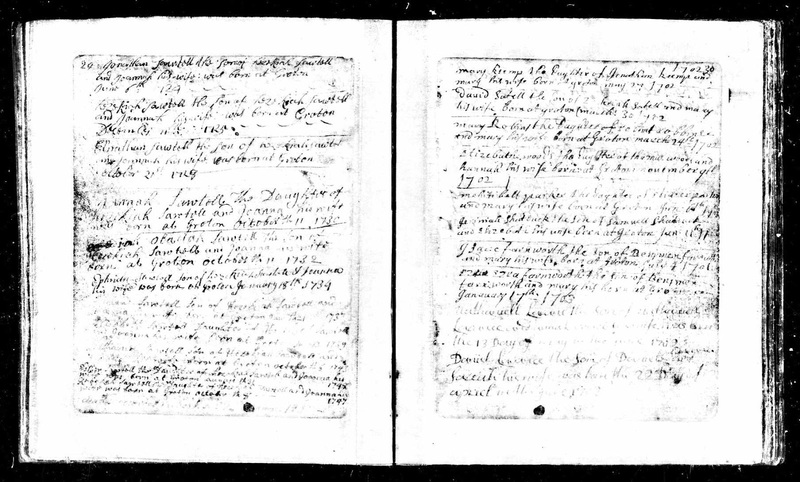 Treasure Chest Thursday - Post 313: 1734 Birth Record of Ephraim Sawtell in Groton, Mass. his wife was born of Groton January 18th 1734." 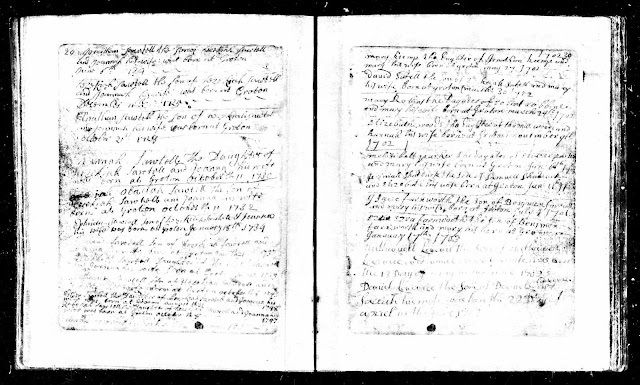 Massachusetts, Town and Vital Records, 1620-1988, digital images, Ancestry.com (http://www.ancestry.com), "Groton Births, Marriages and Deaths," page 29 (image 435 of 990), Ephraim Sawtell birth entry, 1734; citing original data from Massachusetts town and city clerk records in Jay and Delene Holbrook, Massachusetts Vital and Town Records (Provo, Utah : Holbrook Research Institute), Microfiche collection. Ephraim Sawtell was the 6th child and 5th son of Hezekiah Sawtell (1703-1779) and Joanna Wilson (1701-1786) of Groton, Massachusetts, who had the births of all 11 of their children recorded in the Groton town record book. Ephraim Sawtell married Abigail Stone (1737- ca 1800) in 1757, and had 10 children. They are my 5th great-grandparents. Their 6th child, Josiah Sawtell (1768-1847) is my 4th great-grandfather.